Dr. Faisal Hassan Hamoud Ali received PhD degree from Universiti Putra Malaysia, Malaysia in the field of Nutrigenomics (2014), and MSc from Wageningen University, Netherlands, in Medical Biotechnology (2009), currently he is working as an Assistant Professor at Universiti Putra Malaysia; Faculty of Medicine and Health Sciences with Metabolism and Genomics research group. 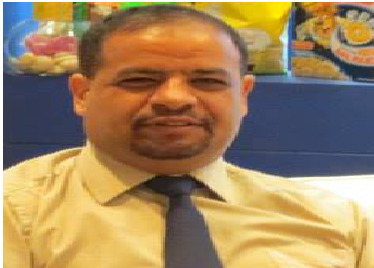 He has successfully completed his graduate work responsibilities as laboratory technologist of Medical Laboratories at Univesity Hospital, Sana’a University-Yemen for up to 6 years. After getting his MSc degree, he has been appointed as a lecturer at Sana’a University-Faculty of Medicine and Health Sciences till 2011. He is also serving as an editorial member of few journals like bimolecular research and therapeutics and expert reviewer for journals like molecular nutrition and food science and technology. He has published more than 15 articles in peer-reviewed journals, and received many awards for outstanding in scientific research and publication. 3. Faisal Ali, Yazan Ranneh, Amin Ismail, Norhaizan Mohd Esa . (2013) Identification of Phenolic compounds in polyphenols-rich extract of Malaysian cocoa powder using the HPLC-UV-ESI—MS/MS and probing their antioxidant properties. J Food Sci Technol. 4.Ali, F; Ismail, A; Esa, N; Pei, C. Anti-obesity effects of cocoa polyphenols in high-fat diet -induced obesity rats. Obesity Reviews. March 2014, volume 15(Suppl.2):271-287. 5.Faisal Ali, Amin Ismail, Norhaizan Mohd Esa , Chong Pei Pei. Cocoa polyphenols treatment ameliorates visceral obesity by reduction lipogenesis and promoting lipolysis genes in obese rats through interfering with AMPK pathway. Journal of Nutrition (American Society for Nutrition). 6.Faisal Ali, Amin Ismail, Norhaizan Mohd Esa , Chong Pei Pei. Hepatic genome-wide expreession of lipid metabolism in diet-induced obesity rats -treated with cocoa polyphenols. British journal of Nutrition. 7. Ali F, Ranneh Y, Ismail A, Vaes B (2013) Influence of Demethylation Pathway on the Differentiation Potential of Human Mesenchymal Stem Cells. J Stem Cell Res Ther 3: 153. Cell Res Ther 2013, 3:4. 8. Faisal Ali, Amin Ismail, Norhaizan Mohd Esa , Chong Pei Pei. Cocoa polyphenols treatment attenuate visceral obesity and fatty liver via AMPK pathway modulation in obese rats fed high –fat diet. Clinical obesity and research practice Journal. 9. Yazan Ranneh , Faisal Ali, Mothanna Al-Qubaisi, Norhaizan Mohd Esa , Amin Ismail . Ethanolic extract of Cocoa Inhibits Pro-inflammatory Mediators in Lipopolysaccharide-induced RAW264.7 Macrophage cells. Journal of international Pharmacology. 10. Farhana Aminuddin, Faisal Ali, Amin Ismail, Chong Pei Pei, Muhajir Hamid. Cocoa polyphenols enhances the expression levels of PPARγ in skeletal muscle and adipose tissue of obese and diabetic rats fed high fat diet. Nutrigenetics and Nutrigenomics Journal. 11. Mohammed Al-Nuzaily, Faisal Ali. Sickle cell anemia in relation to total Homocystein levels and the role of anticoagulant proteins. ijpcr. 2014,6(3): 192-195. 12. Ali F, Ranneh Y, Ismail A, Vaes B (2013). Impaired of a non-DNA dependent methylation status decides the fat decision of bone marrow-derived C3H10T1/2 stem cell. SpringerPlus , 2:590,9-10. 12. Ali FHH, Ranneh Y (2013) Angiopoietin-like Protein 4 and the level of Free Fatty Acids in Human Blood Plasma: Is there a link? Med chem. 3: 276-281. 13. Ranneh Y, Ali F, Esa NM (2013) The Protective Effect of Cocoa (Theobroma cacao L.) in Colon Cancer. J Nutr Food Sci 3: 193. 14. Yazan Ranneh and Fiasal Ali (2012) The Role of Some Plants on Colon Cancer. Pak. J. Nutr., 11 (9): 798-805, 2012. 16. Bamashmous S.A., AL-Nuzaily M.A.K., Al-Maktari L.A.S., Taresh S.A.G. and Ali F.H.H. (2013) Prevalence and etiology of anemia in overt and subclinical hypothyroidism women in Sana’a, Yemen. ISSN: 0976-7061 & E-ISSN: 0976-707X, Volume 4, Issue 1, pp.-57-60. 17. Saleh A Bamashmoos, Mohammed AK Al-Nuzaily, Ali M Al-Meeri and Faisal HH Ali (2013) Relationship between total homocysteine, total cholesterol and creatinine levels in overt hypothyroid patients SpringerPlus 2013, 2:423. 18. Yazan Ranneh , Faisal Ali , Abdulmannan Fadel . The antioxidant activity of Cocoa-treated 3T3 fibroblast cells. ijtpr. 2014; 6(1): 14-19. 20. Molhim Ali Al-Habbori, Ali mohammed Al-meri, Mohammed Abdulkader Al-Nuzaily and Faisal Ali. Homocysteine Level in Relation to Thyroid Function Tests in Hypothyroid Patients. Asian J. Med. Pharm. Res. 2014, 4(2): 101-106. 21. -Faisal Ali,, Samer Taresh, Bart Vaes and Syahida Ahmad. Stem cell differentiation and probing their therapeutic applications in hematological disorders. American journal of stem cell research. A critical review, 2015. 22. Thrombotic events in patients with sickle cell anemia: relationship to protein C, S and total homocystein levels. Lutfi AS.Al-Maktari, Mohammed AK.Al-Nuzailly, Saleh A. Bashmoos,Samir AG.Taresh, Faisal Ali. International Journal of current research and academic review. 2014,2(2):17-24. 23. Relationship between total homocysteine,T.cholesterol and creatinine in hyperthyroid patients. Saleh A Bamashmoos , Mohammed AK Al-Nuzaily, Ali M Al-Meeri, Faisal H Ali. (Acceptance from Ain Shams Medical Journal, Clinical and scientific society, Ain Shams Faculty of Medicine, Abbasia, Cairo, Egypt, 2014). 24. Coagulation Changes in Sickle Cell Disease Patients: Association between Markers of Thrombin Generation and Hemolysis. Mohammed AK Al-Nuzaily, Lutfi AS Al-Maktari, Saleh A. Bamashmoos, Ali M Al-Meeri, Faisal H Hamoud. Sana’a University Journal of Medical Sciences (SUJMS). Sana’a univ. j. med. sci., December 2013; 5(2): 56-62. 25. Stem cell, types, and its role in the production of functional cells: Mini review. Lutfi Al-maktri, Mohammed AK Al-Nuzaily, Faisal Ali and Saleh A. Bamashmoos. (Acceptance from Sana’a University Journal of Medical Sciences (SUJMS). Sana’a univ. j. med. sci., December 2014.